Preliminary modeling suggests dust storms were common in the deserts of the supercontinent Pangaea on both sides of the Equator 300 million years ago. 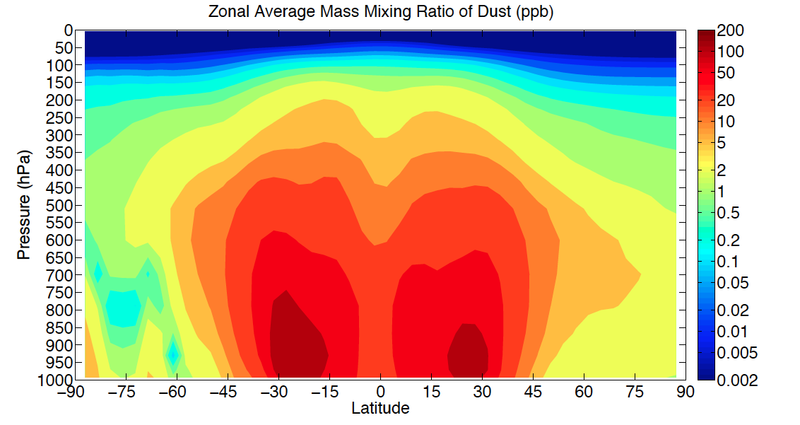 On present day Earth, the Southern Hemisphere is much less dusty than the Northern Hemisphere. The National Science Foundation (NSF) has awarded a research grant to Dr. Nicholas G. Heavens, Research Assistant Professor of Planetary Science at Hampton University in the Department of Atmospheric and Planetary Sciences, to study the dust cycle and its biological impacts during the Earth’s last period of extensive continental ice sheets, roughly 300 million years ago. Dr. Heavens will collaborate directly with researchers at the University of Oklahoma, Johns Hopkins University, the University of Michigan, and the Smithsonian Institution, among others. The project will involve using the Community Climate System Model, an important tool for studying modern climate change, to study climate transitions during the Earth’s deep past. 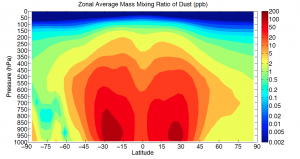 The climate model will help organize geologic data into a coherent picture of the role of atmospheric dust in climate and biological evolution.